The United States' missile strikes on a military airfield in Syria violates international law and represents an act of aggression against a sovereign state under a far-fetched pretext, Kremlin spokesman Dmitry Peskov said Friday. MOSCOW (Sputnik) — The US launched 59 Tomahawk cruise missiles at the Syrian military airfield in Ash Sha'irat near Homs late Thursday. US President Donald Trump said the attack was a response to the alleged chemical weapon use in Idlib on Tuesday, which Washington blames on Damascus. "President [Vladimir] Putin regards the US attacks on Syria as an aggression against a sovereign state in violation of the norms of international law, and under a trumped-up pretext at that," Pesov told reporters. 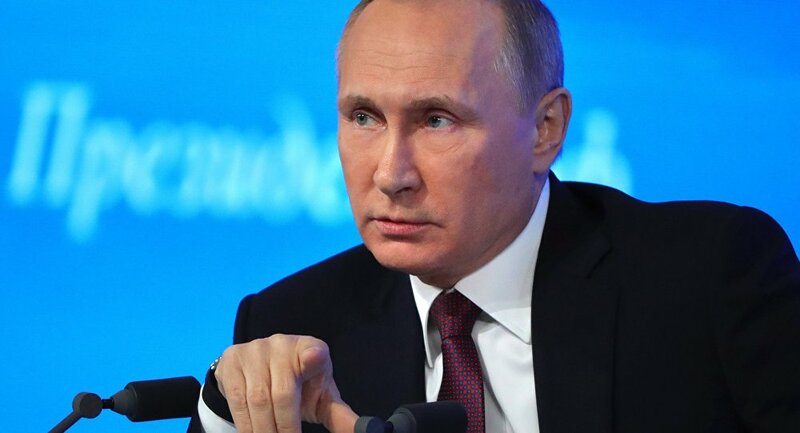 Russian President Vladimir Putin also sees the latest US missile strikes on a military airfield in Syria as an attempt to distract from the mounting civilian casualties in Iraq, the Kremlin added. "Putin also sees the attacks on Syria by the US as an attempt to divert the international community's attention from the numerous casualties among civilians in Iraq." The Organization for the Prohibition of Chemical Weapons (OPCW) had confirmed that Syrian armed forces do not possess chemical weapons, the Kremlin cited Russian President Vladimir Putin as saying Friday while warning of the danger of ignoring terrorist use of chemical weapons. "The fact of the destruction of all chemical weapons stockpiles has been recorded and confirmed by the OPCW, a specialized UN unit," Peskov told reporters. "At the same time, in Putin's opinion, total disregard for the use of chemical weapons by terrorists only drastically aggravates the situation," Peskov said.